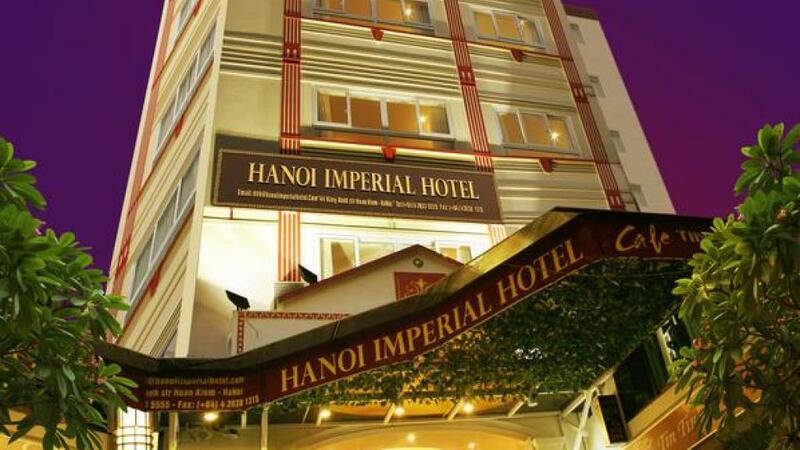 Located in the heart of Hanoi's city centre, Hanoi Imperial Hotel offers 4 star accommodation surrounded by a huge range of shopping, dining and entertainment options. 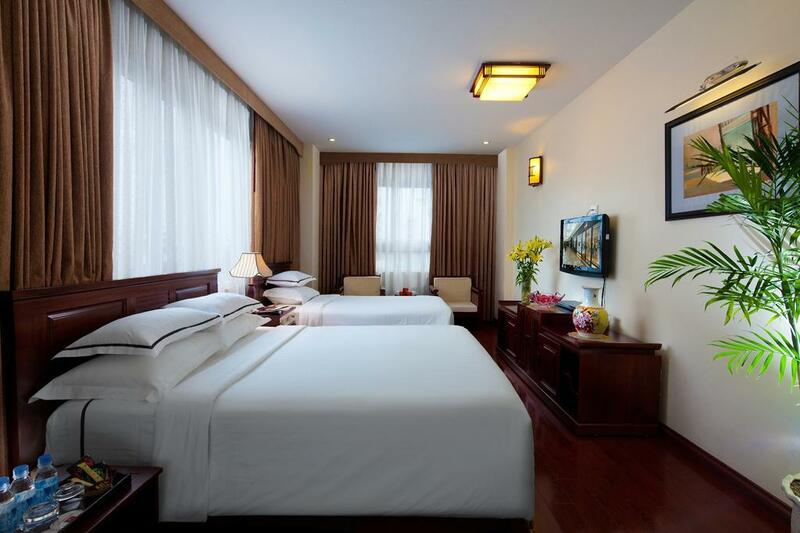 Conveniently close to the airport, the hotel boasts a great range of onsite facilities and is within walking distance of Thang Long Puppet Theatre, Ngoc Son Temple and Hoan Kiem Lake and is just minutes from Ho Chi Minh Mausoleum and the Temple of Literature. 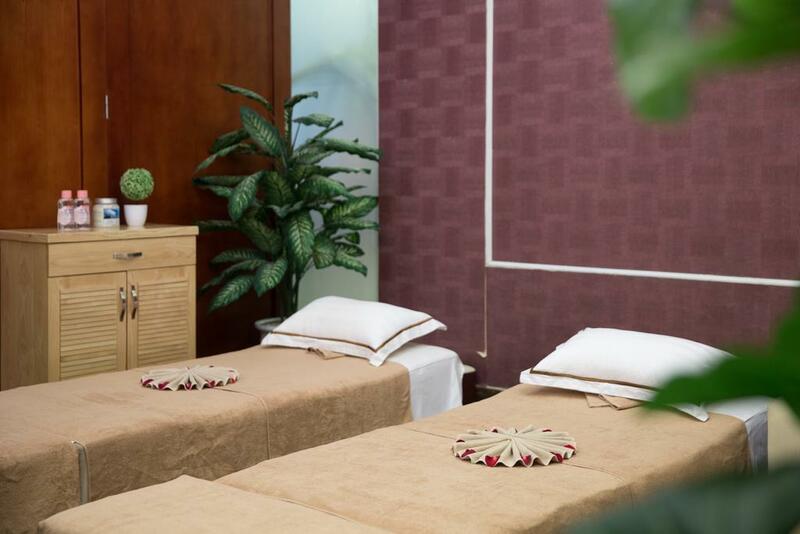 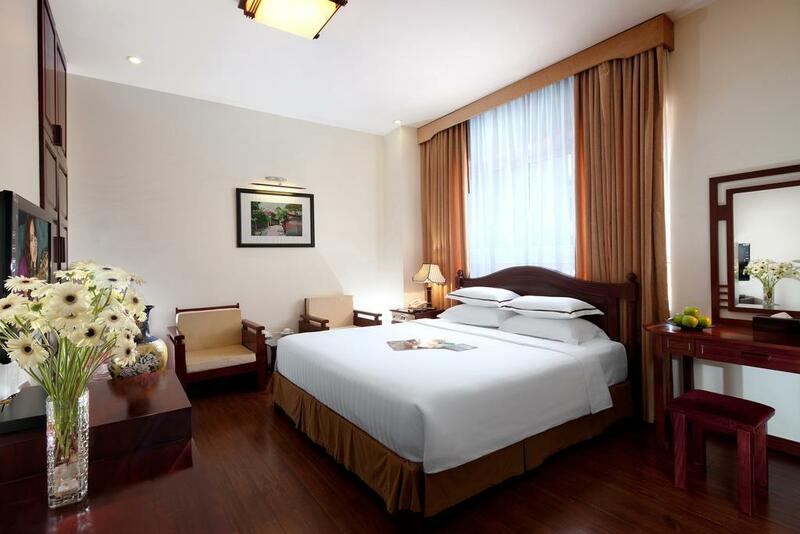 Accommodation at Hanoi Imperial Hotel offers a choice of 40 individually furnished and air conditioned rooms which feature separate sitting areas and opening windows. 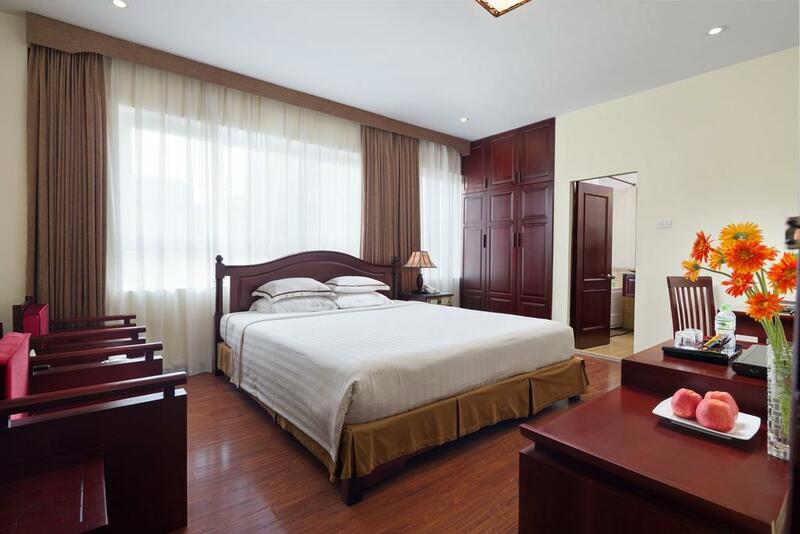 Each room also enjoys complimentary internet access, 32" LCD TVs with Cable channels, tea and coffee making facilities, complimentary bottled water, a minibar and private bathrooms with separate bath and shower, hairdryer, bathrobes and slippers. 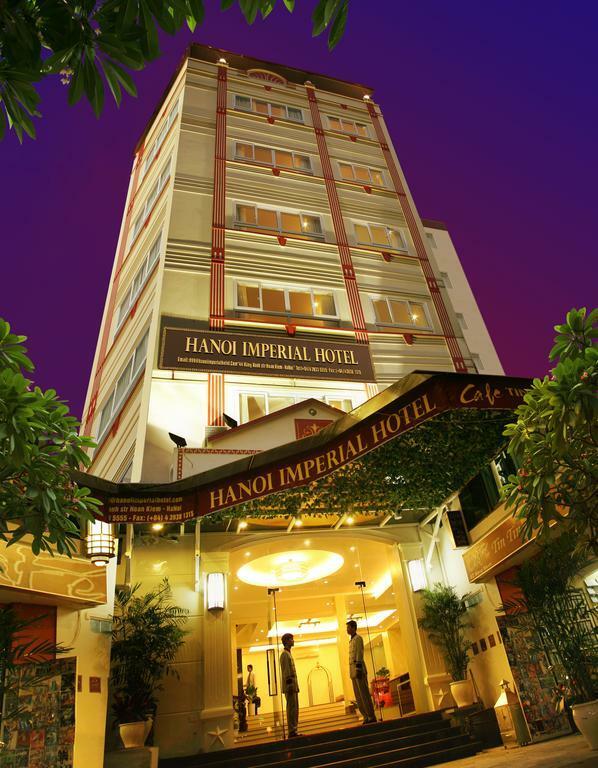 Hanoi Imperial Hotel is also home to a great range of onsite facilities including 24-hour reception, the convenience of an airport shuttle service, an arrival and departure lounge, business centre, concierge, laundry and dry cleaning services, a restaurant, 24-hour room service, a spa and massage centre and a tour desk. 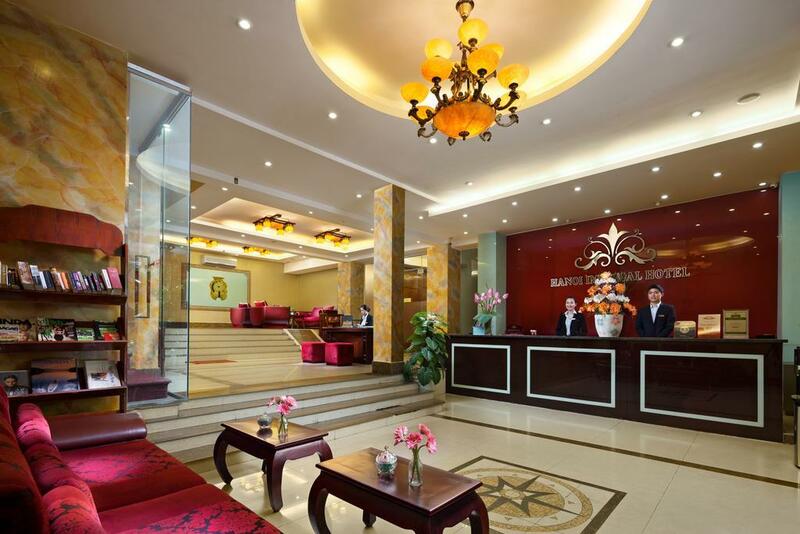 The hotel is also just a short stroll from Hang Gai Street and enjoys easy access to the Vietnamese National Tuong Theatre. 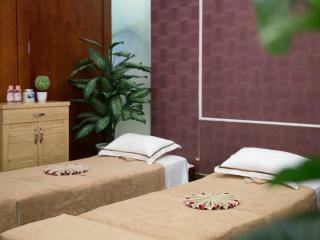 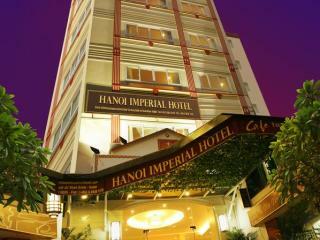 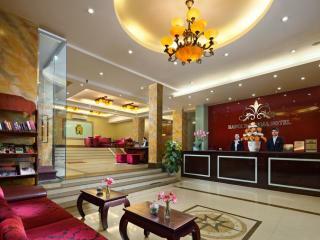 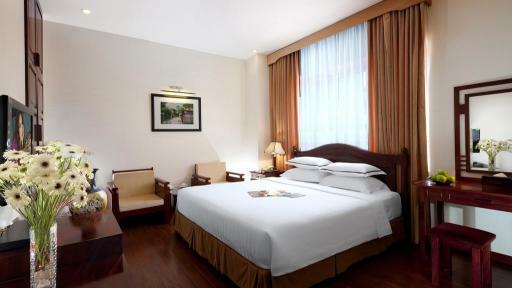 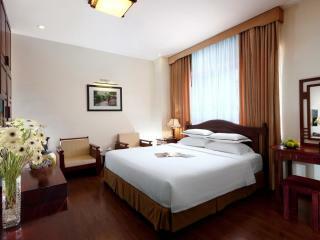 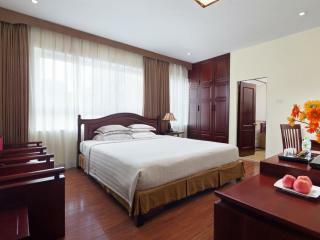 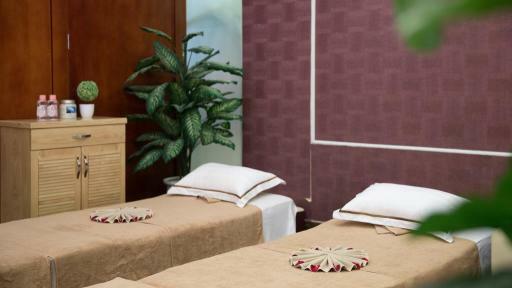 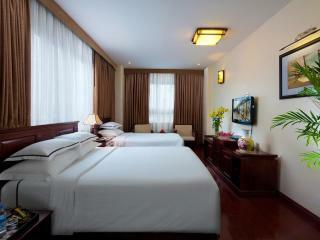 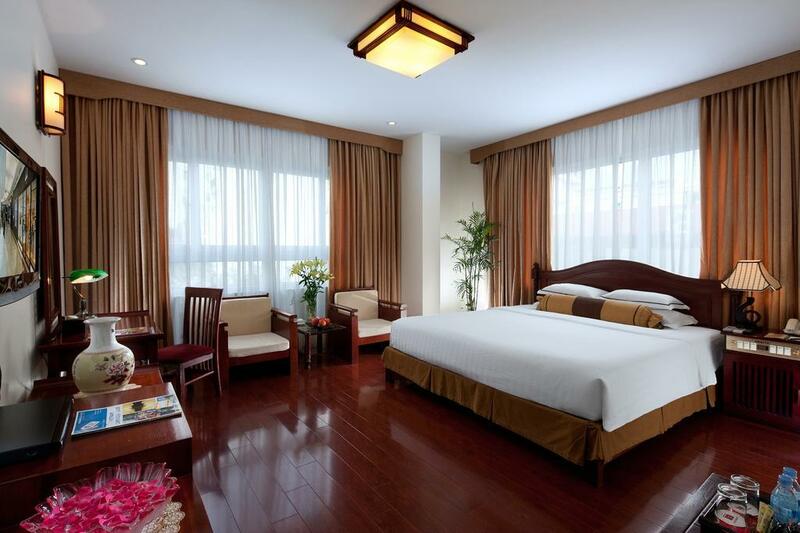 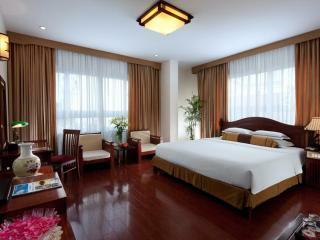 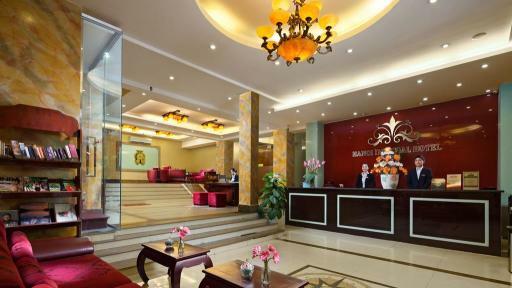 Accommodation at Hanoi Imperial Hotel offers a choice of 40 individually furnished and decorated rooms. 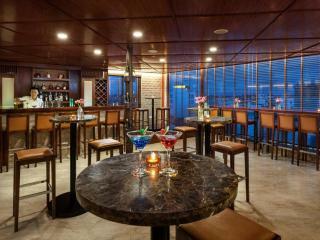 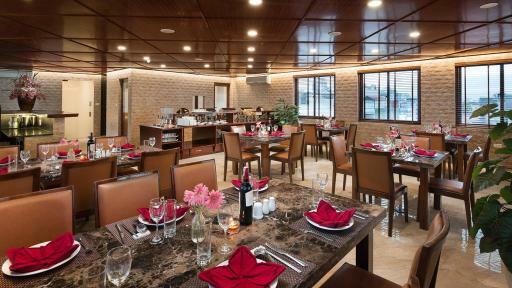 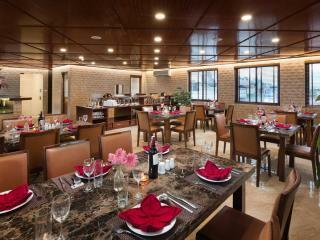 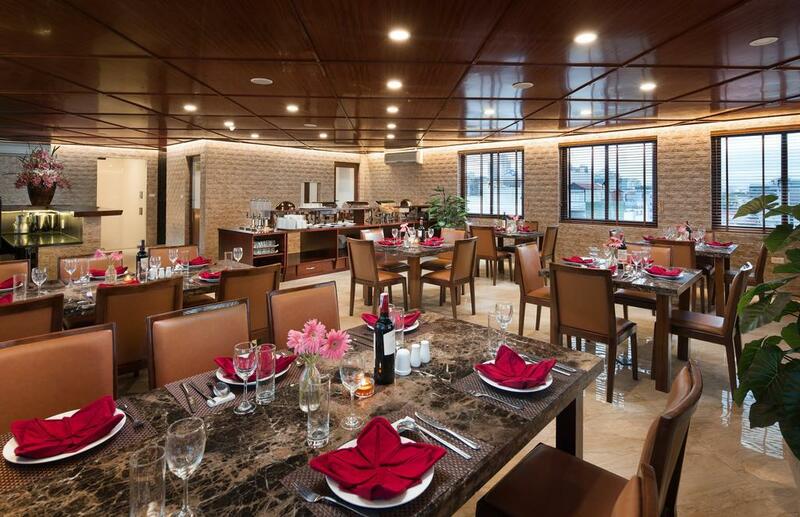 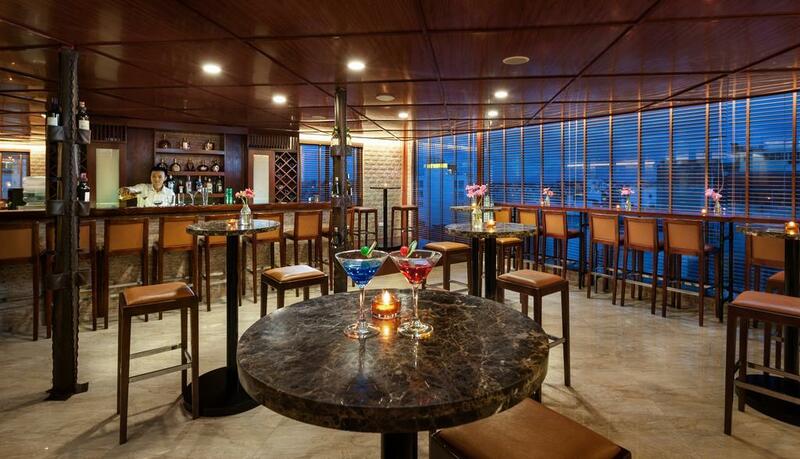 Restaurant: Open daily for buffet breakfast featuring Western and Asian cuisine and enjoy striking views of the city.